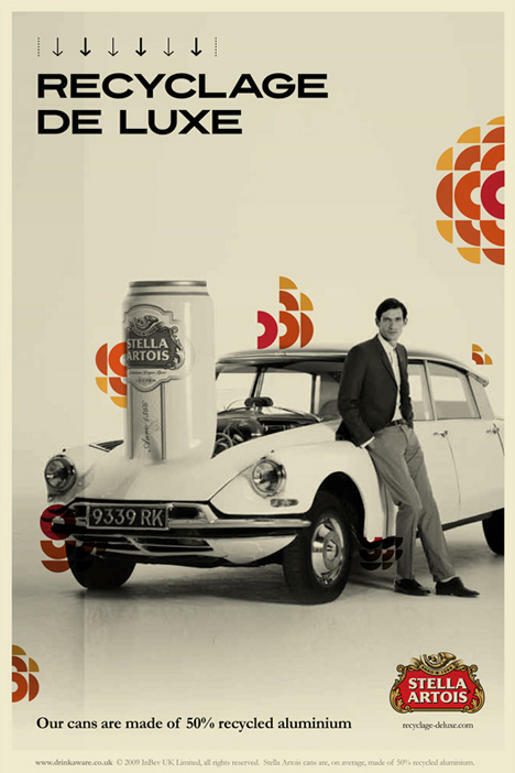 ABinBev is promoting Belgian beer Stella Artois with Recyclage de Luxe, their recycling policy, in a UK print and outdoor advertising campaign using photography by Nick Clements and design by Cristiana Couceiro. 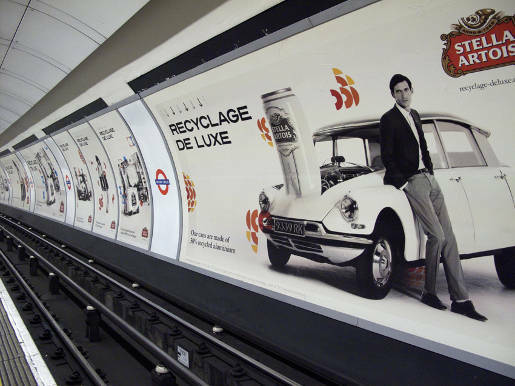 Reducing, recycling and proper waste disposal are a key part of the Stella Artois global business strategy. 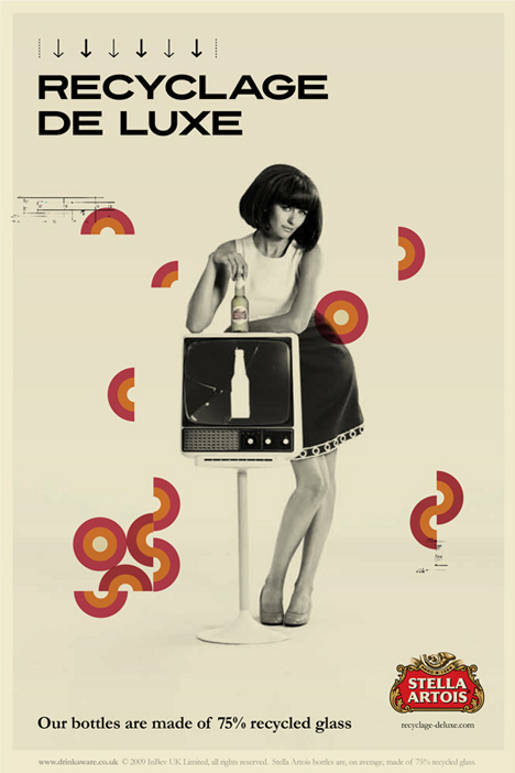 The advertising campaign promotes cans made of 50% recycled aluminium, bottles made of 75% recycled glass, with corrugated packs, paper and cardboard point of sales material made from 100% recycled paper. 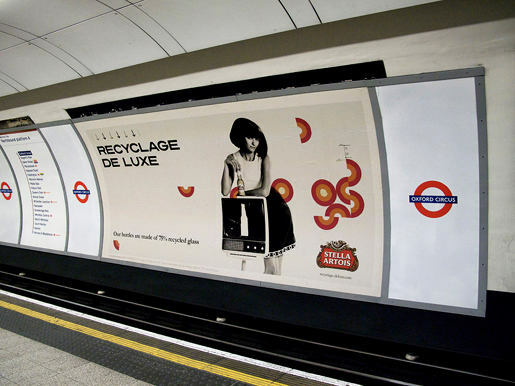 The campaign is associated with the Hedges project, in which every 18 x 284ml pack purchased results in a tree being planted by Stella Artois, supported by The Tree Council and the National Hedge Laying Society. The Recyclage de Luxe campaign was developed at Mother London, with photographer Nick Clements, photo agency WiB, and designer Cristiana Couceiro.